Kavinsky - otherwise known as the real world person Vincent Belorgey - is back with a new album due out early 2013: Outrun. This, 'Protovision', is the first official single from that album - 'Odd Look', a snippet of which we covered a few weeks ago, has actually not been released yet. But, all these technicalities and names aside, I'm just glad to hear that he's back. 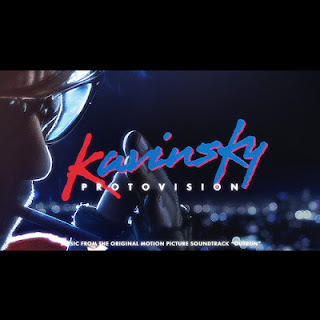 It seems that a lot of people are giving him a pretty hard time for "pulling a DRIVE" in the video below, but if you've followed Kavinsky for a while, you will see that Kavinsky is itself a creation by Vincent: both the music and the eponymous character form part of the atmosphere that goes with the whole package that is Kavinsky. Whether or not you like or can even get on board with a conceptual idea like that is besides the point (no matter how cool or not cool you think it is): the point is the music. And as far as the music that comes from the mind of this guy goes, it remains an exciting, dynamic sound that doesn't pull any punches and that remains almost as it has been since the release of his first EP Teddy Boy in 2006. So in 'Protovision' we are treated to an epically wailing guitar, which is the main star of the 3-minute-long thumper of a track. In typical Kavinsky style we hear a super strong beat that thuds along beneath a grim, fuzzy wave of synth bassline - a showcase of 80s-car-chase-inspired sounds that display and illustrate as much excitement as inspires them in the first place. The only change that has been made to the sound since previous tracks is perhaps a larger dash of wide and epic, cinematic atmosphere that has managed to have been captured within the glowering synth of 'Protovision', yet still it is the small touches that make the most differences sometimes. Detractors might say that Kavinsky is always the same - if you don't like that sound, then lack of change is bound to annoy you. Personally, I think this sound is one that Vincent Belorgey should tenaciously cling onto and hold close because it's one that, like a loveable or memorable character, people will not tire of hearing.